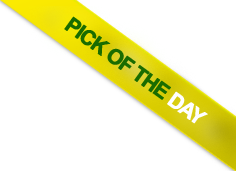 Who doesn’t enjoy slapping on a panama hat, sophisticatedly sipping some delicious vino and proclaiming to your friends, “hmm… it’s bouquet has a distinctive nutty air and there is a definite earthy after taste”. 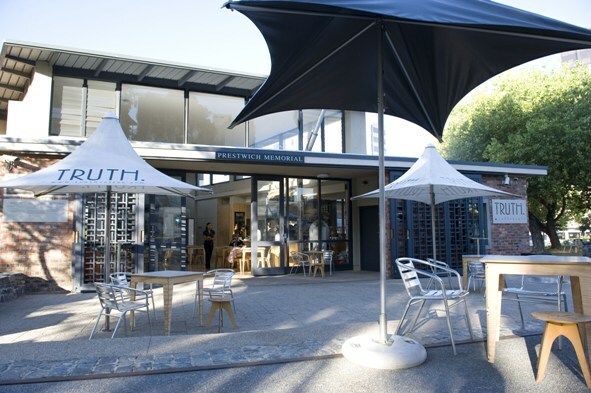 Well we sure as hell do, which is why we love the gem of a festival Franschhoek Uncorked. R100 gets you a weekend pass plus wine glass and free access and tasting at all participating wine farms over Saturday the 1st and Sunday the 2nd of September. Aaaah Stellenbosch. You little gem of a town you. Shorts and slops are not frowned upon, wi-fi is free and if you get a bit frazzled and give in to the urge to tackle a stop sign out the ground with your shoulder… the medics will tell you everything is ok… they have seen this before. Bohemia in Stellies is one of our favourite venues in the town. 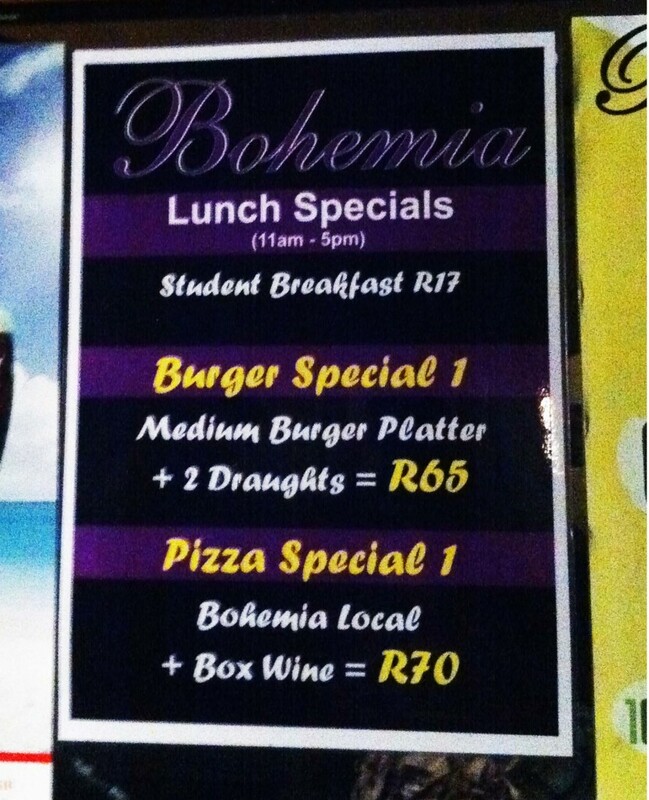 Bohemia offer some really affordable lunch specials and coupled with their “happy hour” and the chance to watch some great live music, its a must for anyone looking for a good night on the cheap. Coffee. Tastier than Scarlett Johansons tears and more invigorating than a high-five from Ryan Gosling, a morning “cupa joe” has firmly established itself as part of the morning ritual. If you share these sentiments, then visiting Truth Coffee needs to be added to your to-do list. Their coffees are affordable, delicious and they offer 1hr free parking and 2hr internet access. Which, in the city bowl, is harder to find than Waldo in a box of candy canes. 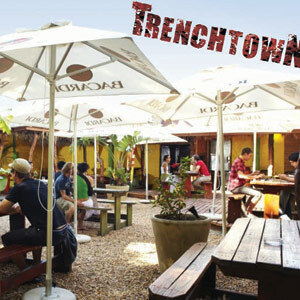 For those of you that may not know, Trenchtown in Observatory has recently acquired new management and is having an amazing relaunch weekend. Trenchtown is already known for its amazing Caribbean style cuisine and great drink specials and we are very excited to see what’s in store. The re-launch runs from Friday the 31st of August till Sunday the 2nd of September with lots of activities and specials. They are also offering 25-75% discounts on all meals for bands! You having a blue Monday? Well then we have something that will turn your frown upside down. 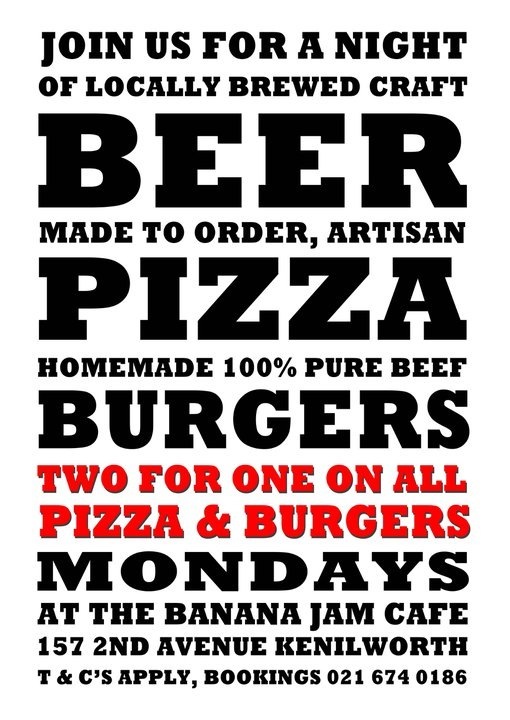 Mondays at Banana Jam brings you their Craft Beer and 2 for 1 Pizza and Burgers special. Its Madness! Its Monday! Being “Phuza Thursday”, we have decided to do another drink special. 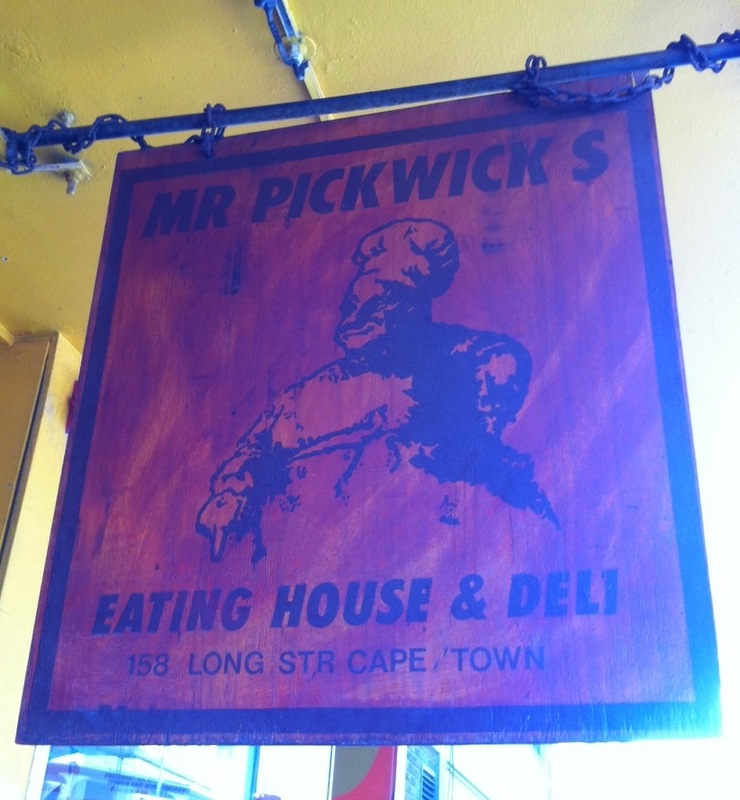 And what better location than Mr Pickwicks. They have great “happy hour” specials on beer and cocktails as well as some tasty meals. We mentioned this deal on the NoBucks FB Page already but feel its needs the credit it deserves. 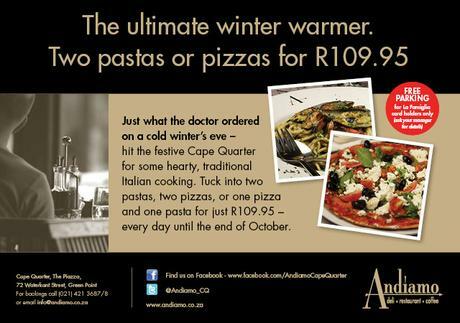 Today’s Special of the Day is Andiamo‘s Two Pizzas or Two Pastas Winter Special for only R109.95. 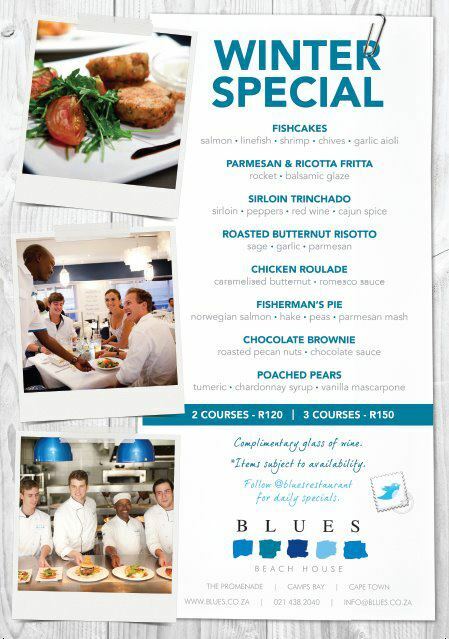 Its a perfect treat for you and your loved one, a friends night out, or just one hungry soul. 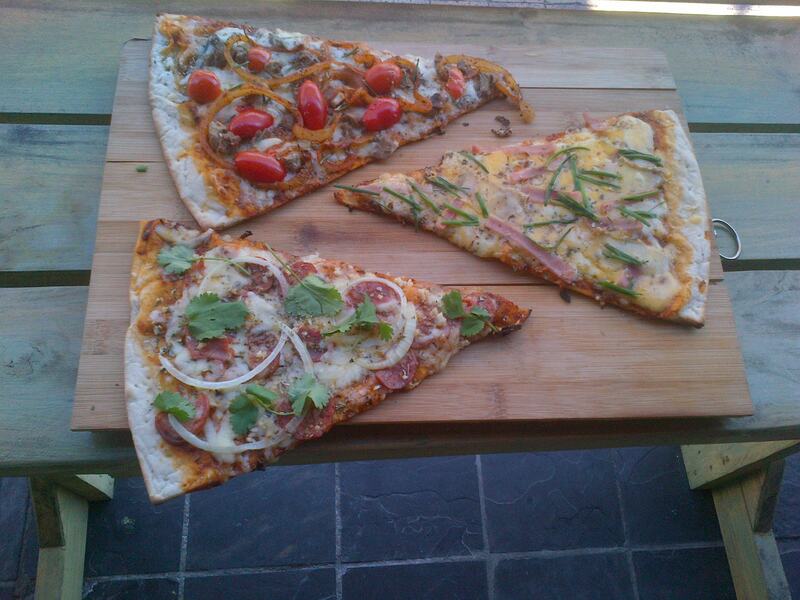 It isn’t hard to find pizza in Cape Town. But what about a place that makes damn good pizzas 24 hours a day, just when you need it most? A place that uses only homemade ingredients, and isn’t shy to use a lot of them. What if it this place served more than just awesome pizzas, but incredible milkshakes and smoothies? You need look no further, for we found this legendary place. It’s new, its innovative, and it goes by the name of Slice. All you need to know, specials to tickle your wallet and free pizzas for a lucky reader – after the jump! 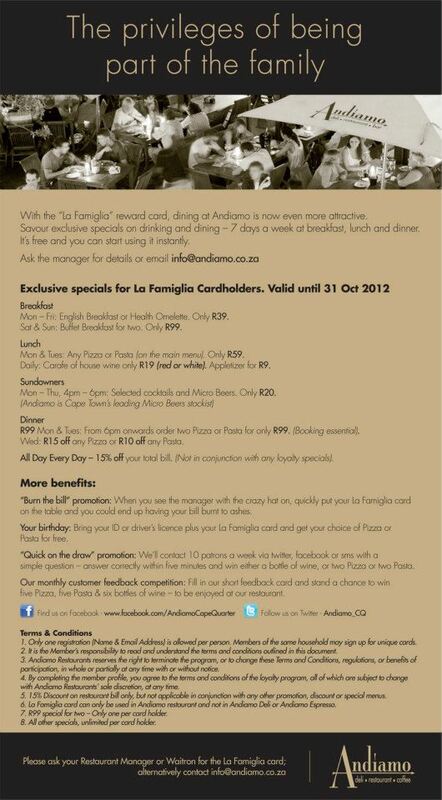 Andiamo, the place where the NoBucks idea took its first breaths of life, has just sent us their new specials.